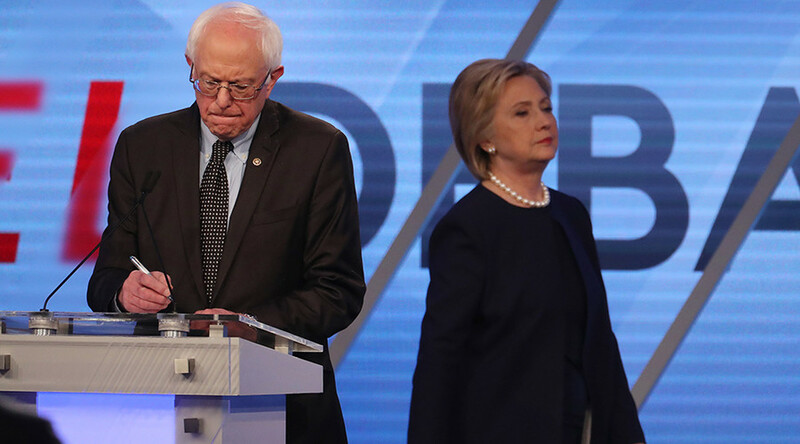 Sen. Bernie Sanders and former Secretary of State Hillary Clinton wasted no time getting into attack mode at the eighth Democratic debate, held in Miami. Here are the top 5 clashing moments that proved this primary is far from over. With the Florida primary less than a week away, Sanders and Clinton used Wednesday night as an opportunity to build momentum following their respective wins in Michigan and Mississippi on March 8. With the debate being hosted by Univision, the issue of immigration came up early and often. Clinton noted Sanders’ opposition to a 2007 immigration bill, saying he had sided with “vigilantes” known as Minutemen, volunteer militia members who “hunted” immigrants on the border. Sanders explained his 2007 vote, saying the guest worker program was comparable to slavery. Clinton scoffed at the notion that the bill included “modern slavery” provisions. "That is his perfect right to vote against it, but if everyone had voted as he voted, we would not have rescued the auto industry," Clinton said. Sanders’ counter-argument won applause when he challenged her characterization of the bill passed during the transition period between Bush and Obama administrations. "[It was the] bailout of the recklessness, irresponsibility and illegal behavior of Wall Street. It was the Wall Street bailout," Sanders said. Indeed, the bailouts, at one point separate ideas, were lumped in together in that one bill. “Clearly the secretary’s words to Wall Street have intimidated them,” Sanders said sarcastically, adding that Clinton is still receiving donations from big banks. “I just think it’s worth pointing out that the leaders of the fossil fuel industry, the Koch brothers, have just paid to put up an ad supporting Senator Sanders,” Clinton said. To invoke the arch nemesis of progressives and Democrats and say that they’re backing Sanders was a long shot, but Sanders did not simply laugh it off. 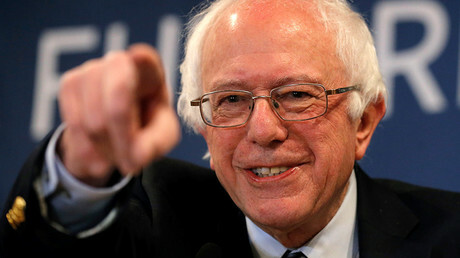 “There is nobody in the United States Congress who has taken on the Koch brothers who want to destroy Social Security, Medicare, Medicaid and every federal program passed since the 1930s, more than Bernie Sanders,” Sanders said. As a self-described democratic socialist, Sanders had some explaining to do when it came to past praises he had for Cuban dictator Fidel Castro. A 1985 video showing Sanders lauding Castro was shown before the question was posed, how is democratic socialism different from the socialism exercised in Cuba and other countries? “I’m the candidate who says no president, not even Bernie Sanders, can do it all. You know what we need? We need a political revolution in this country,” Sanders said. Clinton went into Cuba’s oppressive laws and history against free speech and political dissent, saying, "That is not the kind of revolution of values that I ever want to see anywhere," to which some audience members gave a standing ovation. At the community college where the debate was held, there was a chance to highlight the differences between Sanders’ and Clinton’s college tuition and student loan policies, but instead there seemed to be some agreement, not that it prevented another inevitable clash. "We're going to refinance everyone's existing student debt," Clinton promised. Sanders responded, "I think what Secretary Clinton just said is absolutely right. I think I said it many months before she said it, but thanks for copying a very good idea."